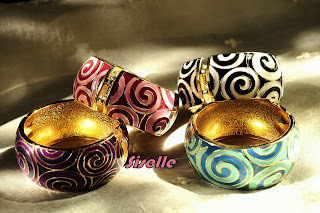 More bangles for your selection. We love the natural coloured ones (wood & ivory) for the natural look. The colorful cloissones are perfect to add colour to your otherwise neutral shades of tops or dresses. Oval shaped turquoise & white with gold lining. Orange & Blue round bangle with gold lining. Enamel cloissone bangles in combination of black, red and white. 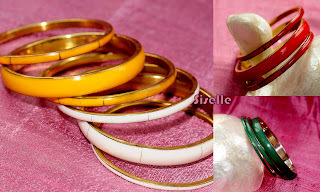 A 3-piece set bangles in four different colours. 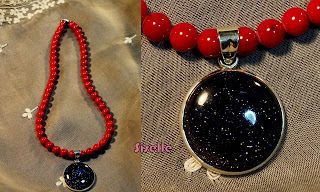 Coral beaded neklace with sand stone silver pendant. Coral - for inner peace, promoting intuition, imagination and visualization. Whether you are going elegant like CZJ or funky like JLo, let your bangles do the talking. 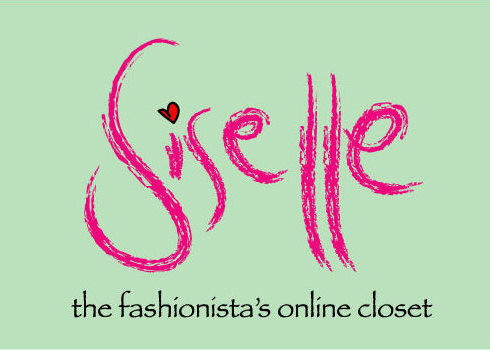 Siselle's choice of bangles will take a simple outfit to the next level! You won't need any other pieces when you wear these! 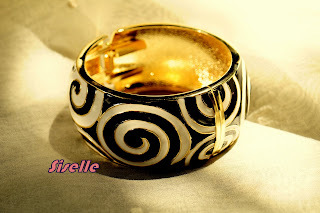 Enamel cuff bangles with swirling design. Simply an attention grabber! 1. If you are the bold type, wear big, wide designs. Wrist to elbow if you like. 2. The fun type, wear plastic, wood or even bakelite. 3. For glitzy gals, go for thin bangles with small pave diamonds to add sparkle. The more sparkle, the better. 4. The glamour puss, wear an armload of thin bracelets. At least ten at a time. Mix real with faux if you like.